Jackie Coat Sewalong – Lengthening your coat. The Jackie Coat is a stylish hip length, which has been carefully designed to complement the glove length sleeves. When speaking to Lena about lengthening the sleeves she stressed the importance of keeping the proportions in balance. So this post is to be read together with the sleeve lengthening post. As I am lengthening the sleeves to full length, which for me is 7″, I am adding a similar length (8″) to the coat to bring it from hip to mid thigh level. 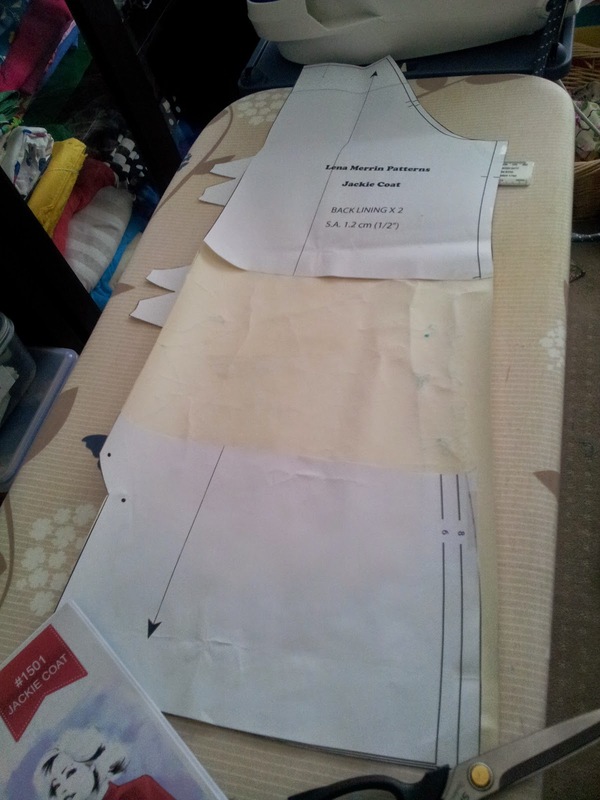 As I am a pear shape and a size 12 in the hips, I am cutting the size 8 for the coat and tapering out to the size 12 at the hemline. I can always bring it in later if that flare is too much. This is different to using the lengthen/shorten lines if you are petite or tall, which is going to be covered soon in a special post by Maria, as she has alot of experience with this adjustment. So all I have to do now is convert the opening from an asymmetric button closure to a centered one. This is very easy to do but I will do a quick post about that and my subtle collar modification tomorrow. 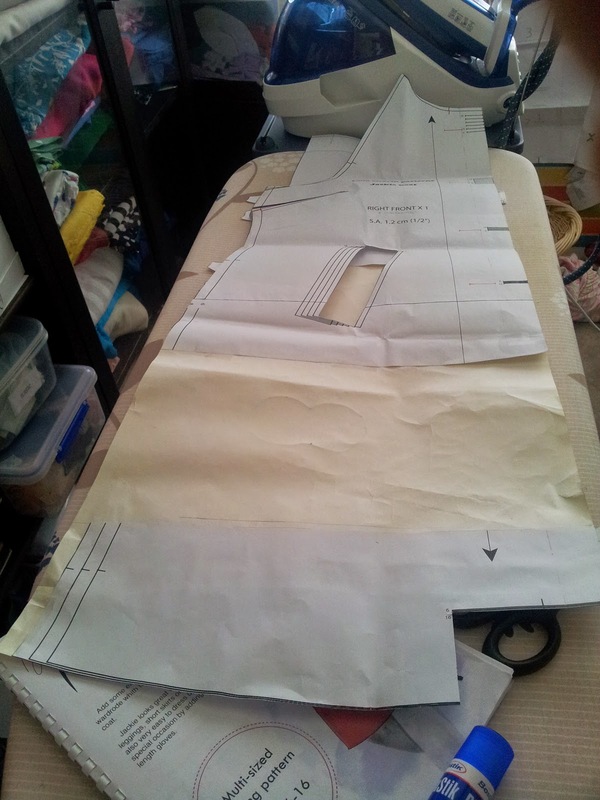 So far we are still in the pattern preparation stage. Many of you will be making the Jackie without alterations so most of these posts are not relevant to you yet. Once we finish with all our pattern prepping, have selected and prewashed/shrunk our fabrics, we will be moving on to taking scissors to cloth. We are taking a slow approach to the sewalong, coat making is definitely in the “slow sewing” category. You can view all the posts so far in the sewalong here.